Wide circular to oval outline. Circular to oval discus, slightly concave, with uncertain relief and rounded framing ring. Sloping shoulder has small ovules. Ring handle with two grooves attaches to back of framing ring and 0.007 m above base groove. Flat, circular base with single groove. 7.5 YR 8/6, reddish yellow. 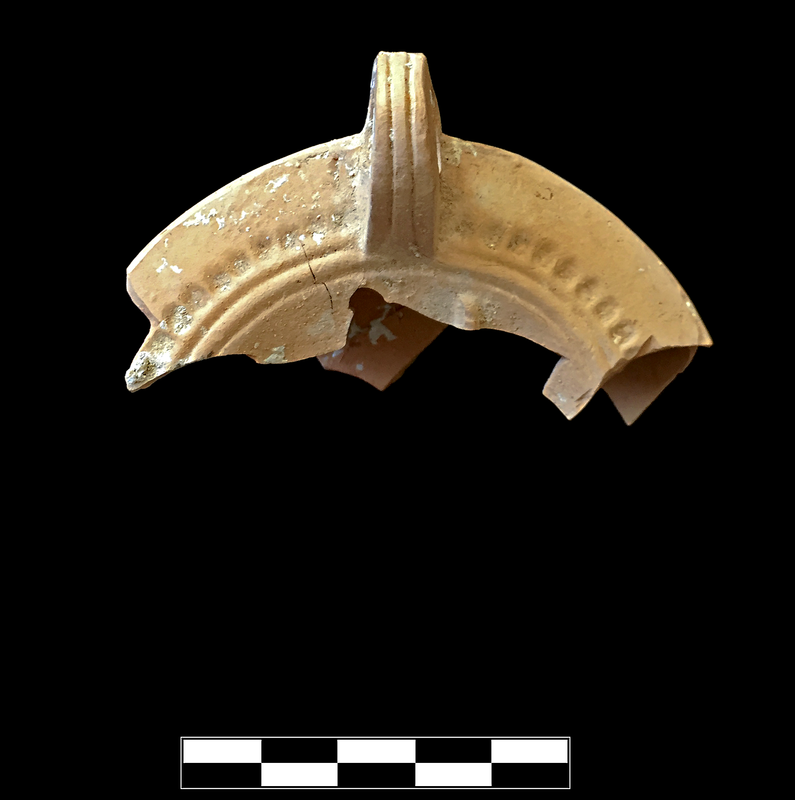 Early/Middle Roman Corinthian lamp fragment: very fine, somewhat hard, slightly brownish. One large fragment preserves small part of discus, roughly one-third of rim, and entire handle. Slight, sparse encrustation.